Fine Goyo Studio Reprints - At Fuji Arts we are excited to make this very special offer of reprints from the studio of 20th century master Hashiguchi Goyo. These prints are from a single set of reprints produced in 1920 right before Goyoâ€™s death. Goyoâ€™s fine reprints are considered to be the highest quality reprints produced in the 20th century. Goyo is the undisputed master of the 20th century shin-hanga movement. 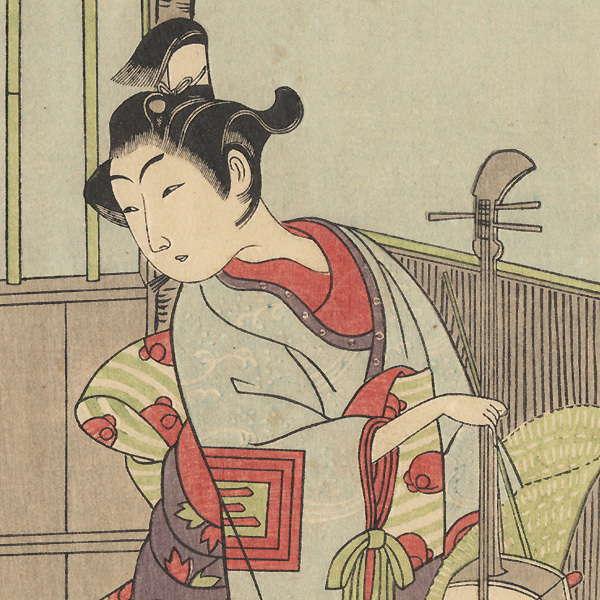 A secondary part of his career was reprinting beautiful old ukiyo-e prints from the golden age of the print period. In 1920, much of Goyoâ€™s artistic work was devoted to creating these incredible woodblock reprints. Each print was painstakingly copied from an original and stamped with the Goyo circular seal. Line by line, color by color, the prints were recreated in Goyoâ€™s studio to perfectly emulate these masterworks of ukiyo-e. Goyo took pride in this work and the release of his reprints was met with great acclaim. Today, original Goyo reprints are highly sought after by collectors and extremely rare to find. An exceptional opportunity!